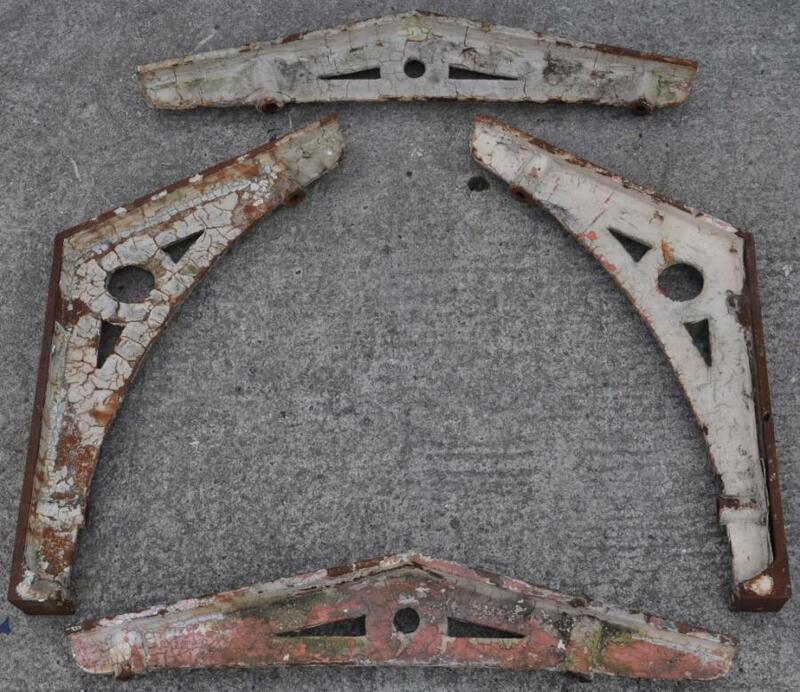 A set of antique Victorian cast iron spandrel brackets. A functional and decorative way of building a unique room / roof structure. 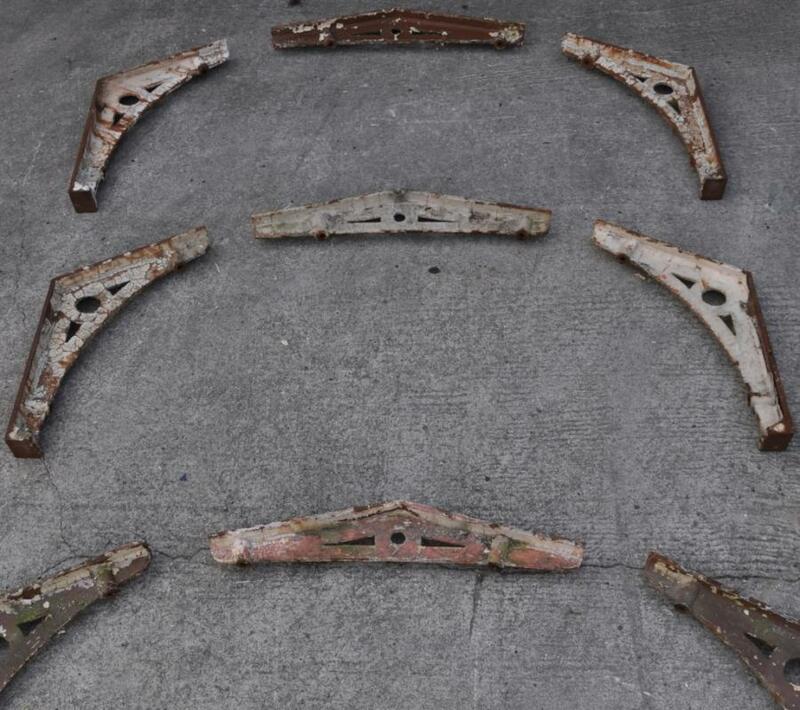 There are 10 apex or central pieces and 4 pairs of eve or wall / roof junction pieces. 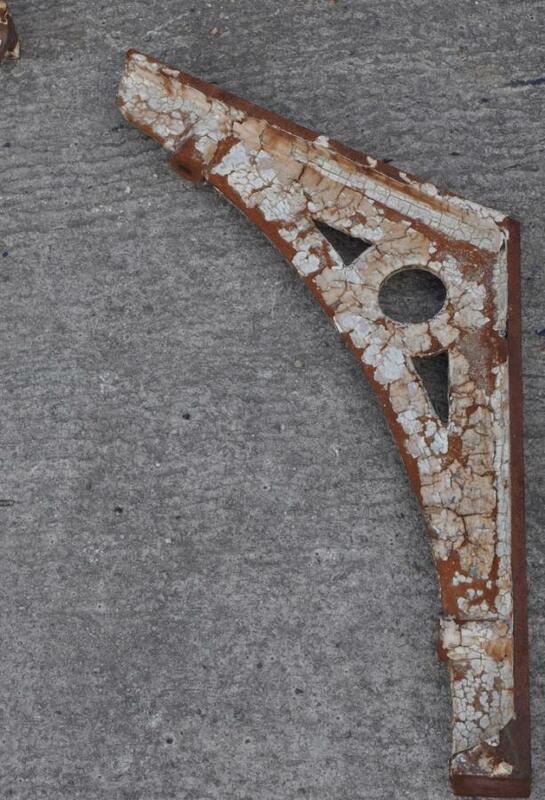 It is possible the apex pieces were used on every pair of rafters or trusses and the eve pieces were interspersed. 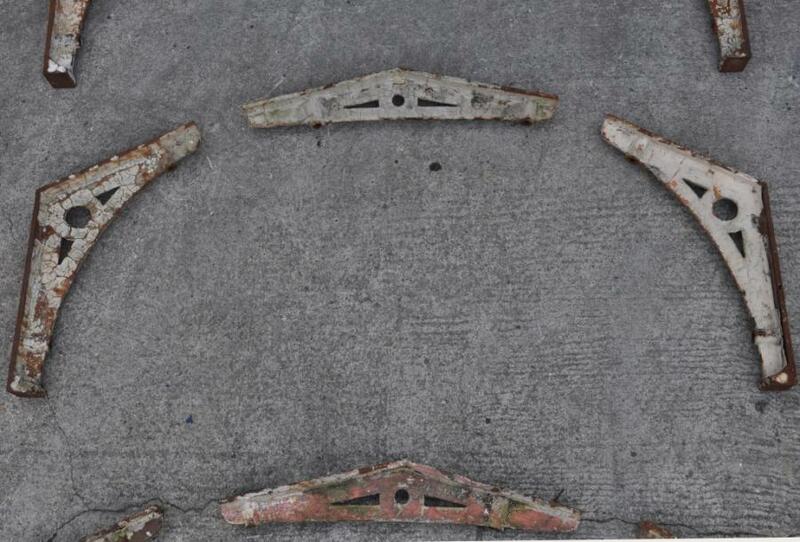 Each piece has two large bolt holes. Dimensions in inches/cms; The apex brackets have an overall width of 41/104, the top cords are 21.5/54.5.The height is 6.75/17 The eve brackets have vertical height of 25.25/64 ( that part parallel to the wall ) and a "cord" length of 21.25/54. More / larger photos on request. To be sold as one lot.